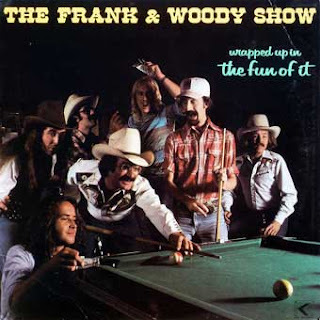 Tune in for an interview and performance from reunited 70's Tucson favorites The Frank and Woody Show this Thursday around 3:30pm on The Home Stretch. KXCI Presents! them and a slew of local and touring acts for the fourth night of HOCO Fest, Sunday, September 1st, Hotel Congress closes the party in style with a nightlong Tucson music stage. Sunday's schedule. As is tradition at HOCO, we celebrate Tucson’s musical history, this year we are just tickled to have The Frank and Woody show headline the outdoor Tucson stage. During the heyday of the beer soaked, marijuana hazed, golden age of the renegade Tucson music scene, they were one of the most popular acts. Country rock dominated the Tucson club scene and some of Tucson’s most talented musicians and songwriters emerged from this, many garnering national attention. No one was more beloved, raunchy and raucous than The Frank and Woody Show- and that’s saying somethin’. This is their first performance in seven years and they are rarin’ to go. Frank Manhardt and Woody Janda are bringing together the legendary band for what will be a great, “can’t miss” event.